Any excuse for glitter and I am there, so when Sophie etc and I spotted some cute white pumpkins in Buckingham and she suggested I glitter them up for Halloween, I didn’t give it a second thought. 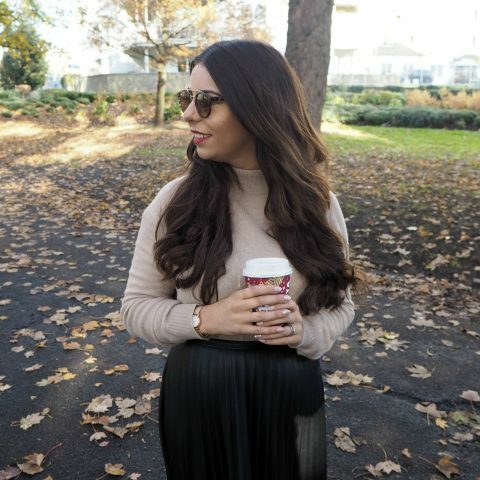 I headed straight to Hobbycraft and stocked up on all things glitter and gold – although the spray paint can didn’t work which was hugely frustrating – and got to work. I made three different pumpkins and have detailed the steps and what you will need for each below. Step 1: cover the stem in PVA glue. 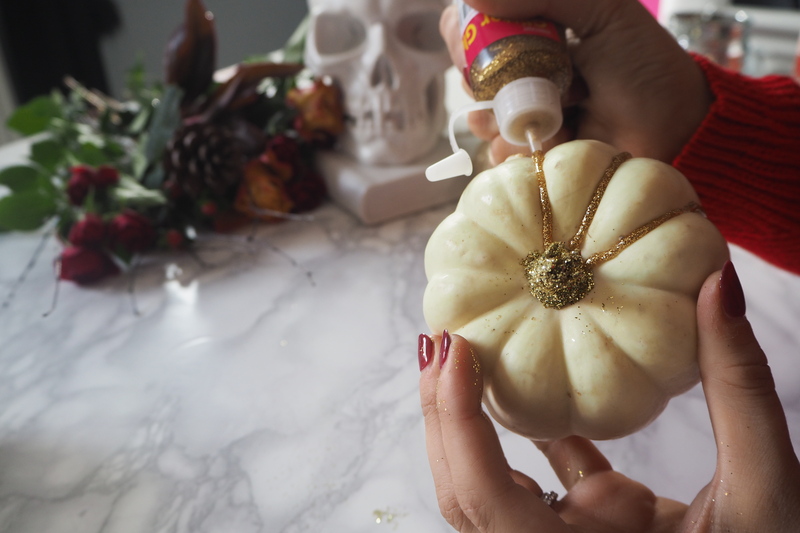 Step 2: turn the pumpkin upside down and dip the stem into the pot of glitter, give it a little shake and voila. 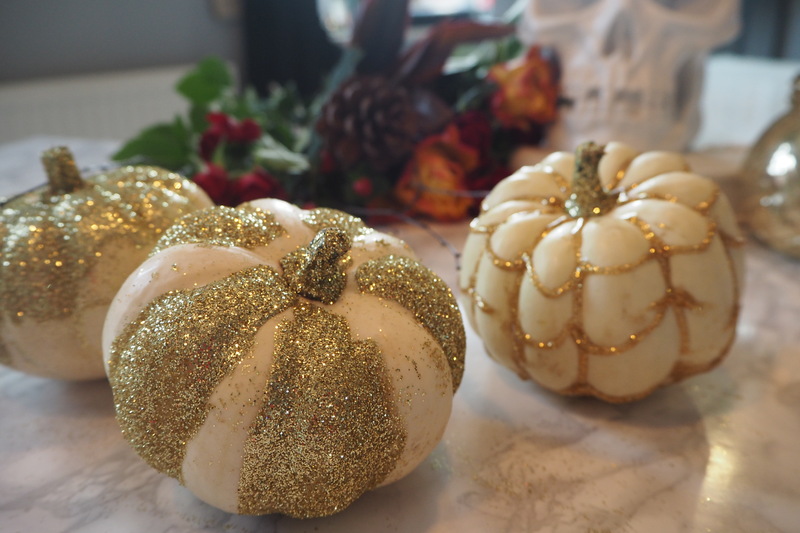 Step 3: grab your glitter glue and draw lines along all the grooved segments of the pumpkin. Step 4: make your way round the pumpkin, joining each line up with a swoop, repeat until pumpkin looks like a glittery spider web. Step 3: PVA glue alternate sections of the pumpkin one by one. Step 4: use your glitter shaker to shake glitter all over the PVA’d section and repeat all the way round. Blow off the excess glitter and you are done. Step 3: spread PVA glue half way down the pumpkin, make sure the strokes go from the top down and don’t try to be too neat. Step 4: grab your glitter shaker and shake away. 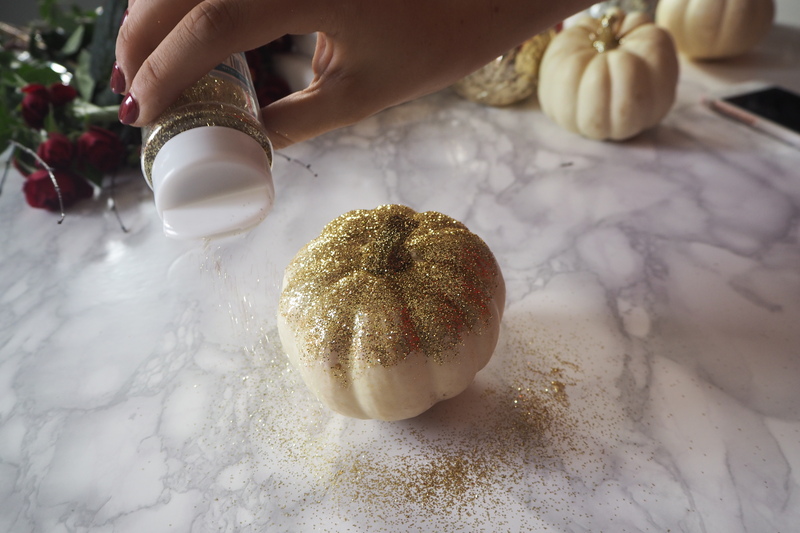 Another way to do this would be to fill a bowl with glitter and dip the pumpkin in head first. Blow off the excess glitter and you are done. 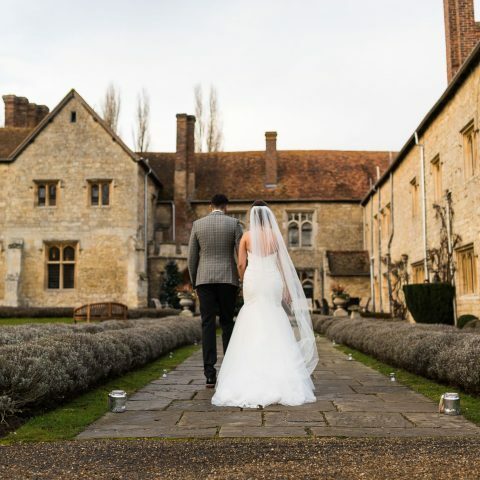 I would love to see any pictures of your own DIY pumpkins, don’t forget to share them with me on social media.